Waite Park, MN – January 25, 2019 – As of January 25th, Bernick’s has purchased the assets and exclusive distribution agreements of Northwest Beverages in Superior WI. 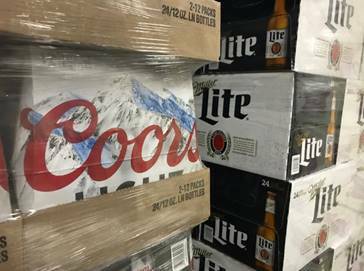 These brands include the MillerCoors portfolio, Summit, Corona, Heineken, Boston Beer, and other regional and local craft beers. Bernick’s will be retaining most of the staff of Northwest Beverage. Northwest Beverages has professionally serviced these brands and customers for the past 48 years. Bernick’s looks forward to continuing the Bernick’s and Northwest Beverage tradition. “We are excited to be expanding our portfolio as part of our ongoing goal to add value to our customers and the communities we serve. This acquisition will help Bernick’s continue its tradition of providing great service and great products to Superior WI”, said Dean Bernick, CEO of Bernick’s. Bernick’s is a fifth-generation family-owned business, proudly distributing Miller and Pepsi products and a large variety of craft and import beer, along with a wide variety of snacks, energy drinks, waters, and juices. Bernick’s has been providing full service beverage, vending, and food service solutions since 1916. The company is headquartered in Waite Park, MN, and has facilities in, Bemidji, Brainerd, Duluth, Twin Cities, and Willmar, Minnesota; and Dresser, Wisconsin. For more information on Bernick’s please visit www.bernicks.com.